Sunday, 29 May 2016 Posted by bookshy Labels: Read It! Loved It! I tend to share quite a bit of what I've been reading about African literature mainly on my facebook page. Although if I'm honest, I read a lot more than I post. So I'm trying out something new here, and every week (every other week, let's be sincere here!) I will be sharing what I've been reading and loving across the interweb. It will be mostly about African literature, but sometimes I might share some non-African literature content that I've really loved reading that week. Without further ado, here is the first edition of things I've read and loved on the interweb this week. What I will say is one of the key factors in making a decision on whether to embark on the French immersion journey was actually made with the hopes of him being able to travel to many countries in Africa and connect, experience and learn. He has since, been able to use that line of communication in Senegal, Rwanda and Morocco and make incredible friends, experiences, and moments in his life that I believe will be lasting and defining ones. Speaking of languages, Yewande Omotoso asks if writers need to speak the same language as their characters? By giving translated fiction a separate section in bookshops and online stores and suggesting it is possible to "like" translated fiction, just as one might like crime or sci-fi, booksellers imply that there is something that unites all these books. A woman I know, when she was about ten, or a little older, was accused of being possessed by the devil. She does not remember on what occasion her actions as a precocious, headstrong child gave her off. But there is a moment in her memory when she is kneeling, encircled by a praying group from our childhood Presbyterian Church. After a session of prayers, she is asked to recant her allegiance to Satan. Also check out a recent interview Emmanuel Iduma did on 'Intimacy, Otherness and the Nigerian Identity' with Wana Udobang, who is interviewing participants of the 2016 Invisible Borders Roadtrip; as well as the essays from the participants on their reflections on the trip. ... part of a growing collective of young African writers - which includes Wana Udobang, Warsan Shire, and Akwaeke Emezi [who] are multi-disciplinary in their approach to storytelling. There were also a couple of lists, which by now is no secret I love. 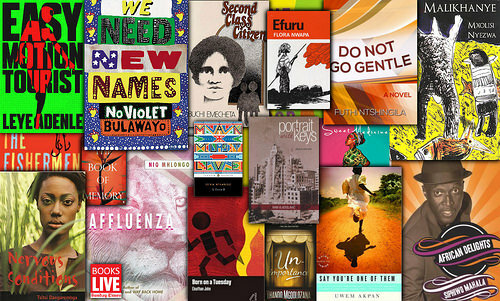 May 25th was Africa Day and Books LIVE celebrated it by sharing with us the best African books - as chosen by the Books LIVE Community. 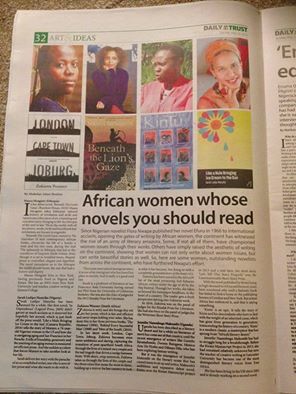 While Daily Trust Nigeria introduced its readers to four novels by African women you should read - with Cassava Republic Press sharing with us an image from the newspaper itself. I've read two (LCTJ and Beneath the Lion's Gaze) and Like a Mule is on my to read list - what's your count? 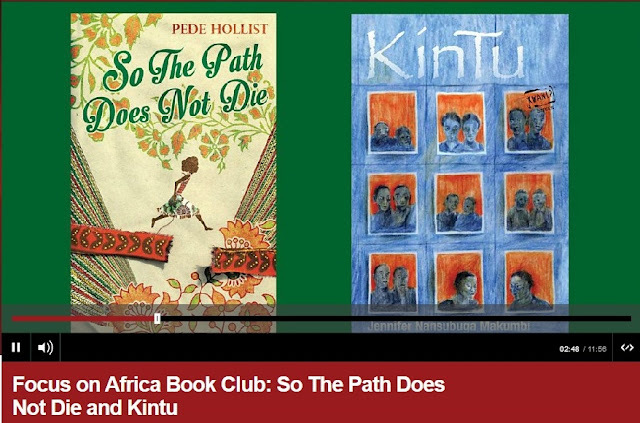 Speaking of Kintu (one of the four books recommended by The Daily Trust), it was in this week's Focus in Africa Book Club along with So The Path Does Not Die. Okay so I listened to this one, but still loved it. PS. If you've been wanting to read Kintu, it was announced recently that Jennifer Nansubuga Makumbi signed with Transit Books in Oakland, California. There's also a new British literary journal, Panorama, with a modern focus on travel literature, art and photography. David Ishaya Osu is the Assistant Poetry Editor, Yvonee Adhiambo Owuor is the Wandering Editor, and Contributing Writers include Richard Odour Oduku, Noo Saro Wiwa and Ola Nubi. ... and with that, I come to the end of the first edition on Read it! Loved it. Happy Reading! 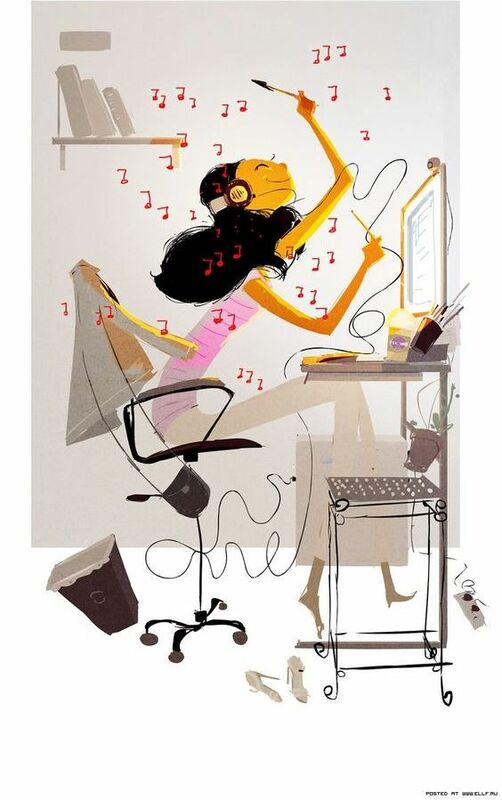 *Side note: I need to up my image search game, as I really struggled to find drawings I liked (that was not a stock photo drawing) depicting carefree black women on a computer. In the end I found tons of photos I liked of carefree women on computers (love Pinterest) but none I really liked with black women. Made me wonder about that!